Marie Kondo says you should only have 30 books at home. I literally have no idea who Marie Kondo is. 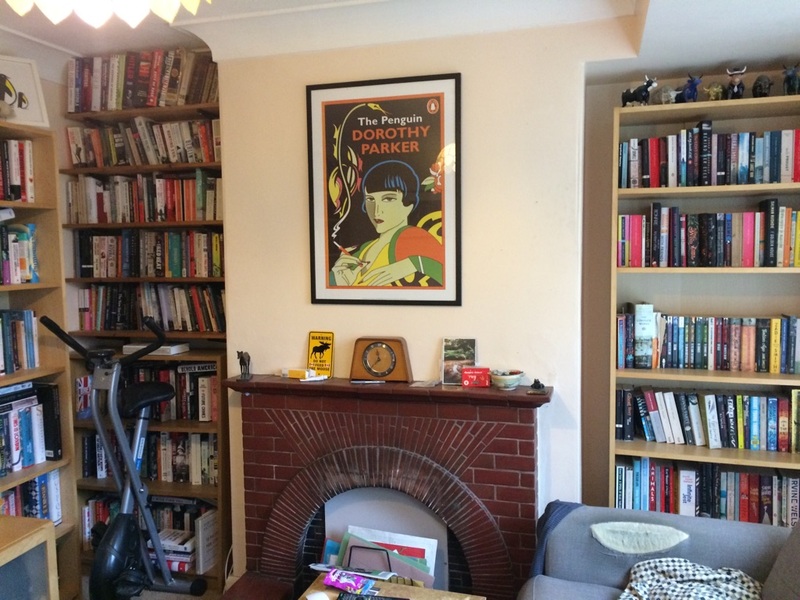 I know Marie Kondo’s name because she has been quoted all over social media, often by people who don’t understand the full context of her words, saying that you should only have 30 books at home. I can’t really be bothered to watch the Marie Kondo show or read whatever interview where she says you should only have 30 books at home, and I understand that this makes me one of the people who bang on (without understanding the context) about Marie Kondo saying you should only have 30 books at home. My friend Scout had the best take on this. Scout mocked the sometimes hysterical reactions to Marie Kondo’s point: how can Marie Kondo have only 30 books? Who is this unlettered philistine Marie Kondo? I should simply die if I did not have a house stacked on every available surface with books: Marie Kondo makes me want to drown in a bathtub of books! Scout’s point made me laugh because it touched on the odd fetishism that British intelligentsia has for the physical book. I remember in the early 2010s people flapped about the impact of e books, and worried that kindles would kill the physical book. That didn’t happen because readers love the physical book. Publishers often (quite reasonably) market books as physical artefacts rather than stories and ideas. In Lena Dunham’s Girls Hannah Horvath is on contract to write an e book. Another publisher offers her a deal to write a physical book. Hannah is a product of the digital age. Yet she accepts the second offer with much more enthusiasm. Why? Because the physical book has authority. ‘Books do furnish a room,’ I’d say back. ‘Books do furnish a room,’ I text back. I do try. Sometimes – given energy enough and time – I’ll rearrange the books. I’ll even give books away. I can be stern with myself. I’ll happily give away duplicates, or books that have been discredited, or books that are just plain bad. But then it’s like: if I’ve got two or three of the same book, which edition do I give away? I have a copy of John Cheever’s Falconer which I accidentally ordered in French. I can’t read French so that one should probably go. Still, it’s not a bad looking edition. Also, some books can’t be donated (ask your local charity bookseller how much worthless crap his shop gets in every day). Also, a bad book is as special as a good book. I may need to refer to the bad book in passing at some point, in some customary throwaway witticism. You can see the bind I’m in. It wasn’t always like this. I’ve lived in my current home longer than I ever lived anywhere since I left my mother’s house (which is, since I come from a family of readers, filled with books). As an adult I mainly lived in rented accommodation, sometimes moving several times a year. I didn’t care much about the physical book then. I remembered Robert Heinlein’s maxim – that you only truly own what you can carry on your back when you’re running from an angry mob. That was my credo then. Still is now to some extent. There’s a feeling when life is well that you’re gonna be hit by catastrophe at any moment. The sound of a plane somewhere, on a summer’s day. You prepare yourself mentally for homelessness and disaster. You’re packing the go-bag in your mind. Or is that just me? You only own what you can carry on your back, running. You never really own anything. You can’t take it with you, and the world’s a volatile place: for all of us, sooner or later, the great comedy of ownership will end. So it’s kind of ridiculous to fill your house with books. But I don’t care. Why? Because life is impermanent, but clutter is human. This entry was posted on January 19, 2019 at 1:12 pm and is filed under Life, Northern Hinterlands, Relationships, Silliness. You can follow any responses to this entry through the RSS 2.0 feed. You can leave a response, or trackback from your own site.